Wonderfully relaxed apartment located in the countryside between Siena and Florence. The apartment is on the ground floor and has a kitchen, a bedroom with a double bed, a bedroom with two single beds and a bathroom with a shower. It also has a garden with a table and chairs. The house has been restored and is furnished with authentic Tuscan furniture owned by the family. The house is suitable for 3 adults and 1 child under 12 years old. 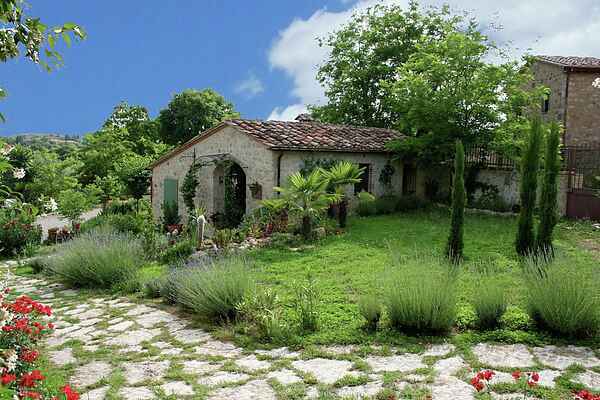 Next to the holiday house is an agriturismo with a few B&B rooms and other apartments. This is an ideal place to relax, enjoy the setting and take daytrips through the surrounding area.